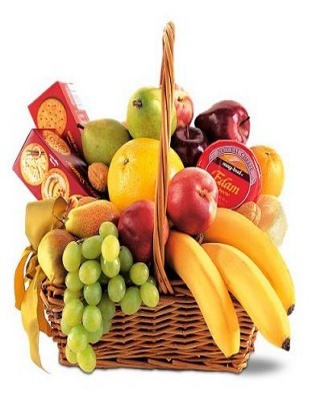 No better way to say get well soon than with this beautiful basket of fruit. Basket is filled with red and yellow, apples, pears, grapes and bananas. We have also incudes some cheese and crackers. Conents may be altered to add more snacks if desired.